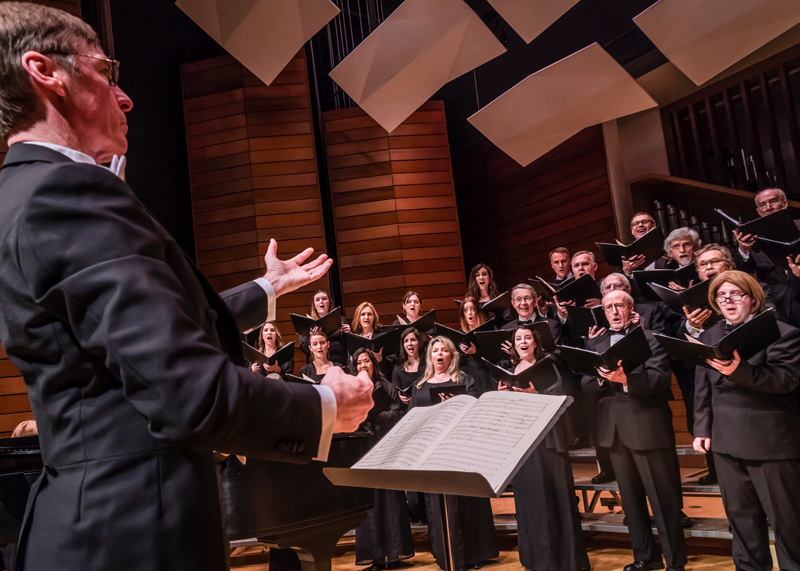 The 60-voice Repertory Singers, following their highly acclaimed performances of Haydn’s “Creation,” now entering their 33rd season of bringing choral excellence to the Rogue Valley. Under the direction of Dr. Paul French, Director of Choral Studies at Southern Oregon University, the semi-professional ensemble captivates audiences by presenting the best of classical choral literature from around the world throughout the ages, as well as newly composed works by world-renowned composers, such as Gabriel Jackson, Eric Whitacre, and Ēriks Ešenvalds. Repertory Singers have also had the honor to premiere new works by Oregon’s own Jodi French and Craig Kingsbury. The mission of Repertory Singers is to promote the performance, development, and appreciation of high-quality choral music. They offer local and regional musicians– including professionals and music educators–access to a wide variety of repertoire, while providing cultural enrichment to the Southern Oregon region through presentation of a series of unique concerts. The Repertory Singers Musical Outreach Program delivers inspiration and insight into the world of professional classical musicians to area high schools. Repertory Singers proudly present at least one choral masterwork every year in their season. Other recent masterworks include Fauré’s “Requiem;” Bach’s “St. Matthew Passion” and “Mass in B Minor;” Haydn’s “Creation;” and Handel’s “Messiah” performed with the Rogue Valley Symphony. Repertory Singers have released four CDs: In Time of Softest Snow, On the Trail of Beauty, The Heart’s Reflection, and First Light.